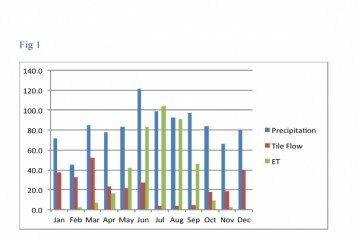 In 2015 we estimated more than 200 Drainage Water Management (DWM) structures had been installed in Ohio. At this time we estimate as many as 500 have been installed or are to be installed this spring. Many of these are have been installed in Northwest Ohio, in the Lake Erie Basin. A substantial number of structures have been installed to reduce liquid manure discharges from the application of liquid manure on subsurface drained cropland all across Ohio. In 1983 for the first time, planted soybean acres surpassed corn acres by 3.5 million acres. Some market analysts thought 2017 would be another year this would happen, but it didn’t. There have been some rumblings that because of current corn prices, 2018 could be the year where King Corn has its crown knocked off and replaced with another crop: soybeans. It is never too late to complete your farm’s balance sheet. The balance sheet is a “snap shot” in time of your farm’s financial position, including what assets you own and how they are financed. The balance sheet is also known as the net worth statement. When completed accurately and in a timely manner, the balance sheet and corresponding ratios are a very valuable tool to evaluate farm financial health. The balance sheet objectively measures farm business growth, liquidity, solvency, and risk-bearing capacity. While emerald ash borer (EAB) may be considered “old-news” in the buckeye state, many may want to keep a watchful eye on its progression beyond Ohio. Each month, USDA APHIS produces an updated EAB Detection Map. Occasionally, we like to post these updated maps on BYGL for those that are interested in monitoring the spread of the pest in North America. Meeting season is here and based on what I have heard from folks regarding programming needs in the county, I think we have a good line up of programs this winter, and I hope to see you at one or more of them. From our flagship program, Northwest Ohio Crops Day to Pesticide Applicator Training we have been hard at work planning and preparing here in the office. U.S. Secretary of Agriculture Sonny Perdue outlined U.S. Department of Agriculture (USDA) services available in the event of a government shutdown.